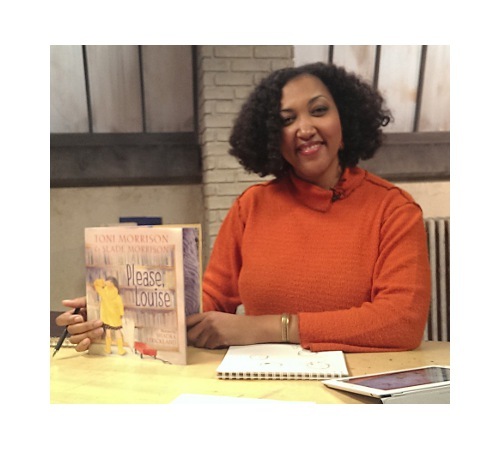 Last week at Kirkus, I chatted with illustrator Shadra Strickland about her latest illustrated picture book, Toni and Slade Morrison’s Please, Louise (Paula Wiseman/Simon & Schuster, March 2014), as well as a few other things. That Q&A was here (in which Shadra referred to Louise as a “spot of sunshine on each page”). Today, I’m over at the blog of author-illustrator Brian Lies. It’s not often that I’m the interviewee, but he asked if I wanted to participate in a blog series about favorite characters in children’s lit, and I was totally game. p.s. We will not discuss the fact that Brian recently visited a library in the county I live in, and I managed to miss it altogether. Not I-knew-about-it-but-couldn’t-go, but I-managed-to-miss-the-announcement-that-he’d-even-be-here. Still kicking myself over that. I’m happy to have contributed to the Horn Book’s upcoming issue (March/April) all about illustration. Needless to say, I’m eager to read the issue cover-to-cover. The piece about illustration that I wrote for them is also online now at their site. Finally, a note for local friends: I’ll be doing story time this Saturday at 10:30 a.m. at Parnassus Books in Nashville. We’ll be celebrating Read Across America Day with Dr. Seuss stories. I hear there will be cupcakes, and what a wonder are cupcakes. Have You Seen Steve Light’s Sketchbook? Have You Seen My Dragon? 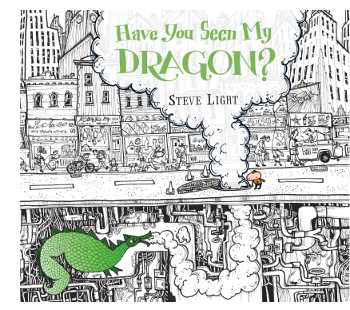 is the latest from author-illustrator Steve Light, who visited 7-Imp for a cyber-breakfast in 2012. The book will hit bookshelves in April (Candlewick Press). 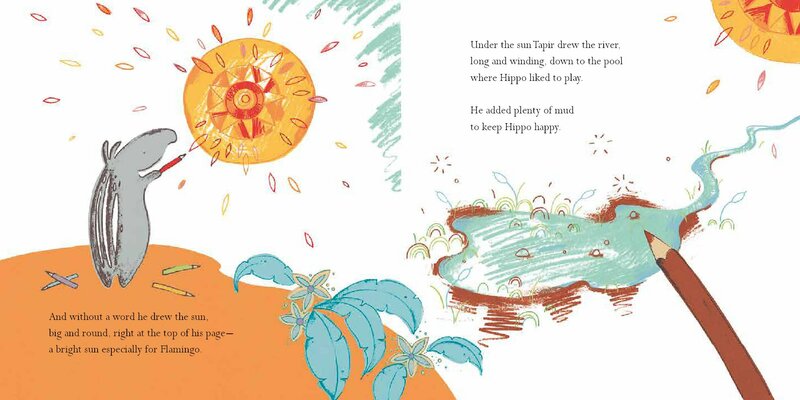 This is the intricately-drawn story of a young boy in New York City, looking for his dragon. As you can see from the cover, he’s inspired by the manhole cover, blowing up steam in the street. Could there be a dragon down there? He’s lost his, after all. He goes searching through the city, yet the dragon is always just around the bend. 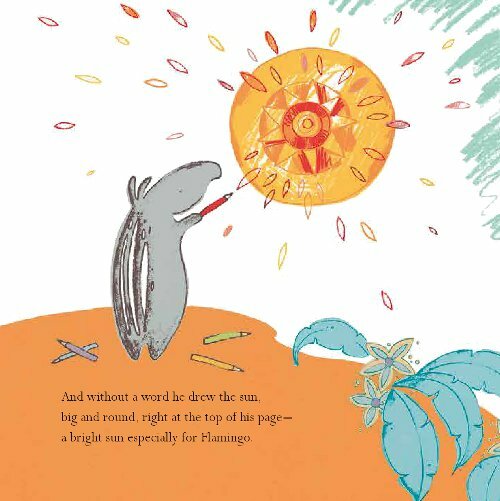 There are so many details to pore over here (I have an F&G, but I’m fairly certain the detailed maps opening and closing the book are the endpapers, happy sigh), and Light’s line drawings are utterly beguiling. 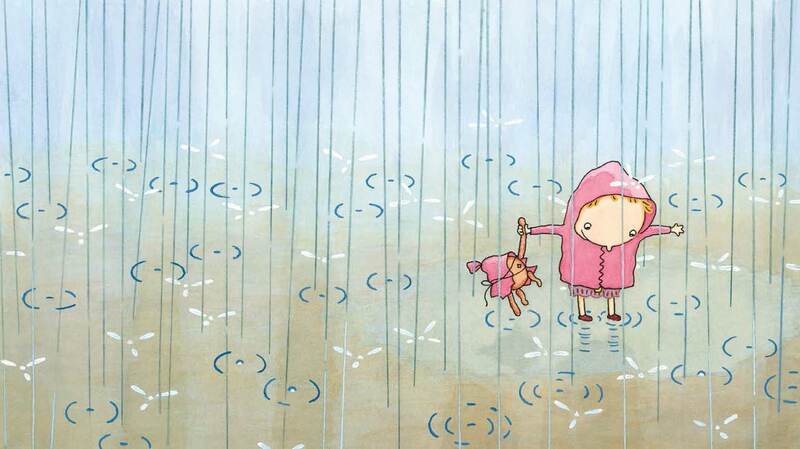 This is an inviting picture book, offering moments of exploration and discovery. It’s simply beautiful. Steve’s visiting today to share some sketches, which I love to see. 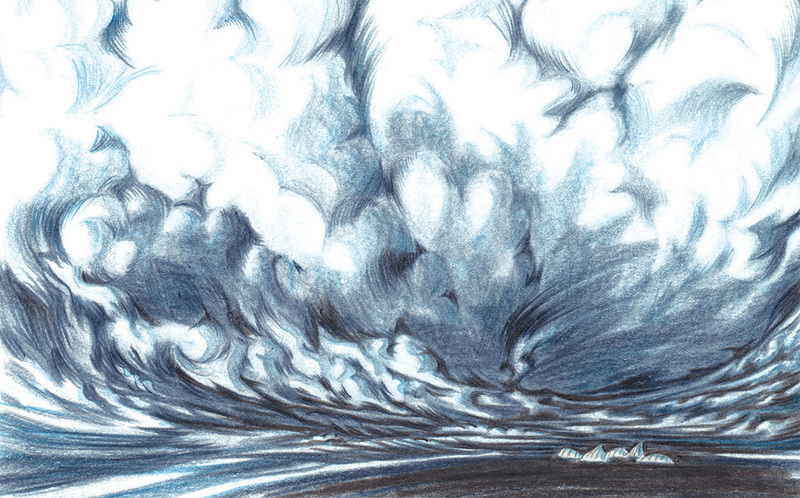 And, as mentioned, there are two final spreads below, as well as the ornately-drawn full cover. You can enlarge each image for seeing in more detail by clicking on it. 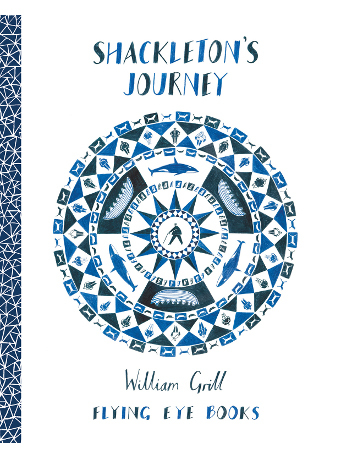 Today’s featured book is Shackleton’s Journey (February 2014), written and illustrated by British artist William Grill. This is a book that marks the centenary since polar explorer Ernest Shackleton’s 1914 Imperial Trans-Antarctic Expedition, his attempt with a crew of men to make the first land crossing of Antarctica. It was considered the last expedition of the Heroic Age of Antarctic Exploration. This morning over at Kirkus, I write about a nonfiction children’s title, Sarah Elton’s Starting from Scratch: What You Should Know About Food and Cooking (Owlkids Books, March 2014). It’s especially good for the budding, young chefs in your life. That link is here. Last week, I wrote about Jon J Muth’s Hi, Koo! (Scholastic, February 2014). That link is here, and today I’m following up with some art from the book. 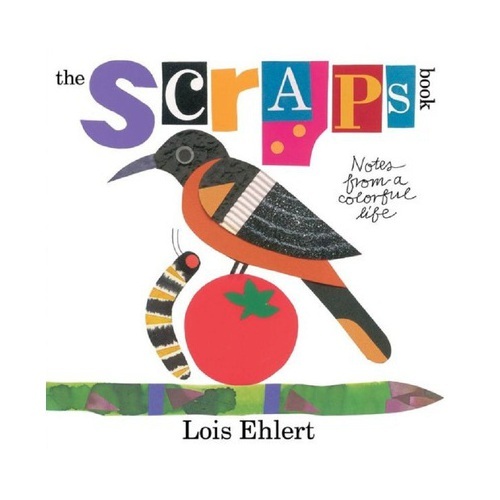 Early in January, I chatted with author-illustrator Lois Ehlert for BookPage about her newest book, The Scraps Book: Notes from a Colorful Life (Beach Lane Books, March 2014), which is an exceptionally good book. Not surprisingly, as noted in the interview, when I called her up, she was surrounded by scraps and paints and paintbrushes — and she was busy creating, happy to be doing so. It was a genuinely inspiring interview; when I got off the phone, I wanted to make something myself. BookPage has posted the interview. It’s here. I really enjoyed my conversation with her, and I want to give The Scraps Book to every child I know. If you read it, you’ll understand why. Best part about the interview? 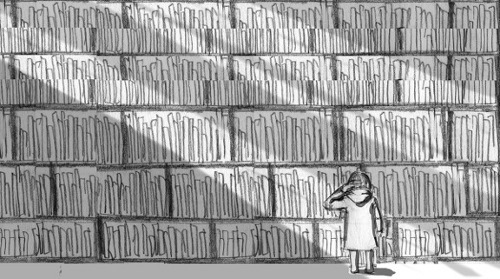 You know how I always follow up columns I contribute at other places with art here at 7-Imp? 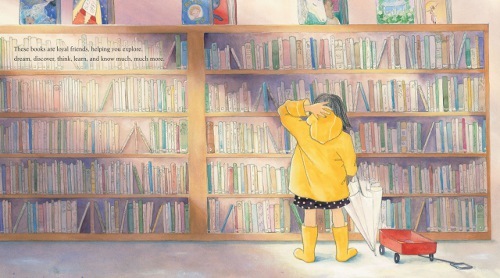 I get kinda twitchy if I don’t, because I love to see picture book art up close and as big as possible. 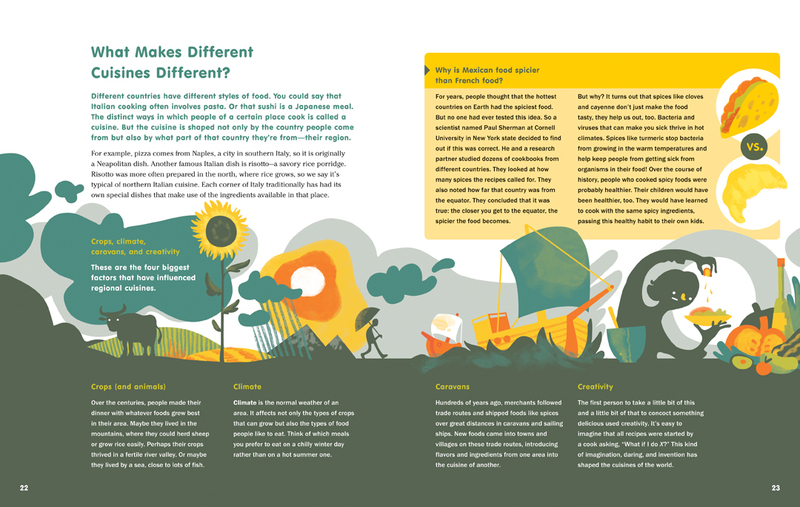 I don’t have to do that here, because BookPage posted spreads from the book so nice and big. (I was so excited when I saw it that I called to thank them for that.) Go take a look! This morning over at Kirkus, I chat with illustrator Shadra Strickland about her latest illustrated picture book, which you can spot in the photo above, as well as other projects she has going now and what’s next on her plate. That is here this morning. Next week, I’ll have some art and sketches from the new book. 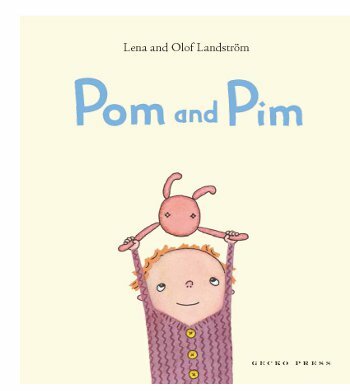 The Landströms’ latest book, Pom and Pim, does what I think the Landströms always do so well: They tell wonderfully droll stories that are all about the types of daily dramas (and traumas — see the ice cream-induced tummy ache below) that very young children really care about. 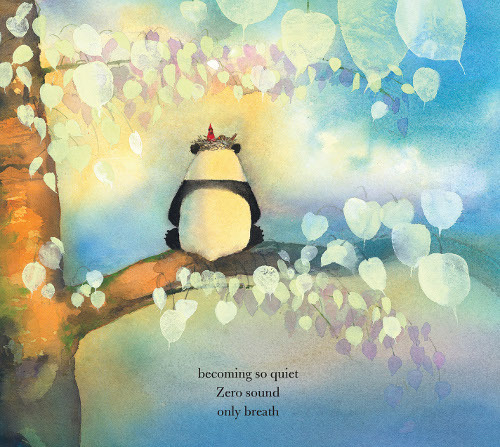 This morning over at Kirkus, I write about Jon J Muth’s Hi, Koo! It’s fabulous in many directions. That link is here. Last week, I wrote here about UK author-illustrator Natalie Russell’s Lost for Words, and I’m following up with some art from it today.